The DJ may be the heart of your entertainment, but a live entertainer will add another dimension to your event. If you want your event to be extra special, enhance your evening with a live performance from a high quality wedding entertainer. Live dancers, live bands, individual musicians, magicians or unusual acts can be a visual treat for your guests and provide that extra memorable element to your day. We’ll handle the logistics; so if we need to get a piano to the top of the Shard, consider it done! We’re full of ideas; so contact us for creative, exciting and even pretty out there suggestions! We’re connected with many of the most awesome performers across the industry, so we know who to call and can handle the booking for you. 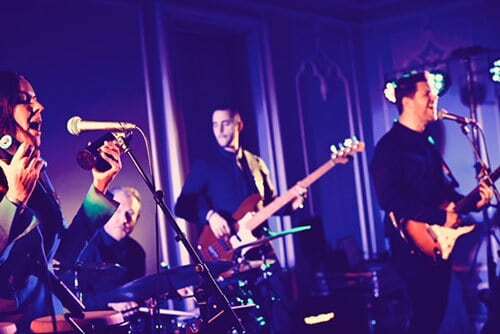 Live bands add atmosphere and ensure that guests are fully focused on the music and getting on with the dance. Live dancers are a brilliant way to bring in all ages to the dance floor as guests lose their inhibitions while they concentrate on following funky choreographed moves. A magician can supply ice-breaking entertainment early in the day or during the reception, perfect for all the family. 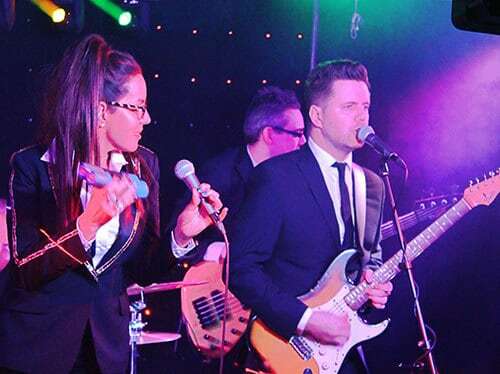 A host of other acts are available too that will ensure your guests simply couldn’t have a better time. The great news is, DJ2K already works with many musicians, live performers, wedding bands and acts in London, Surrey and the Home Counties. We can help recommend, organise or source new ones if you have something in mind. Want to book a live performer only? We can still help thanks to our extensive network of wedding entertainment professionals, live performers and wedding bands around Surrey and London. Why use DJ2K for Wedding Entertainment Surrey and London? For live bands, magicians, wedding bands, acts, performers in Surrey and London, contact DJ2K now.